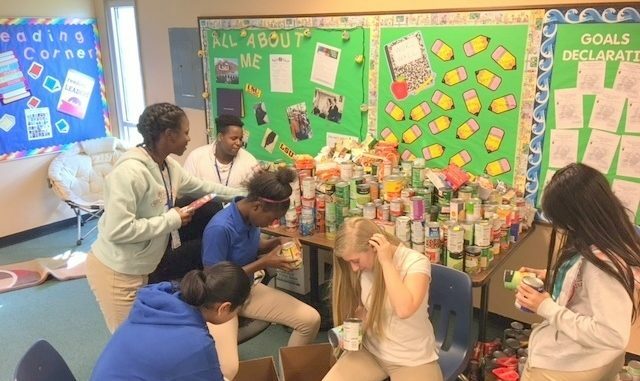 Albert Cammon Middle School Student Council sponsored a food drive to benefit the Second Harvest Food Bank. Faculty, staff and students collected 1,280 non-perishable food items. Pictured are Student Council members Nickey Perkins, Roshanda Robinson, Breione Richards, Roha Abbas, Madison Griffin and Indira Escobar.